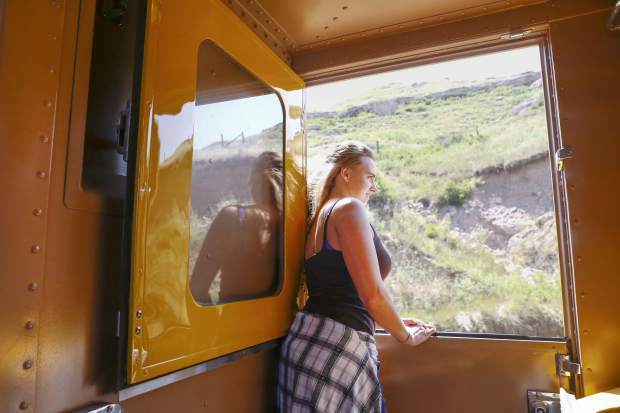 Tatjana Scherschel ,19, leans out the window Thursday morning on The Denver Post Cheyenne Frontier Days train. The historic steam locomotive will make several runs from Cheyenne to Denver with a stop in Greeley this weekend. 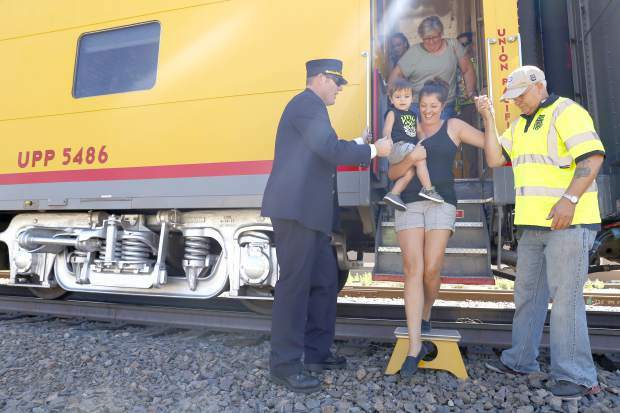 Conductor Bryce Allen and Dean Anderson help Helen Tapia and her son Cayden, 2, exit The Denver Post Cheyenne Frontier Days train pulled by Union Pacificâs No. 844 steam locomotive Thursday morning at The Greeley Train Depot. 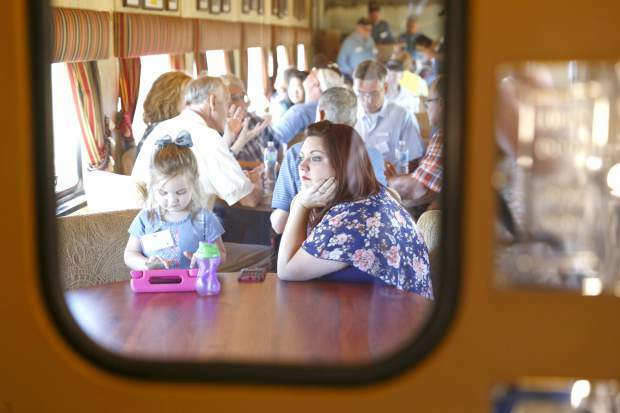 Heather Parker and her daughter Lily, 3, experience their first train ride on The Denver Post Cheyenne Frontier Days train Thursday morning. Fireman Ted Schulte looks at the crowd who have come to see The Denver Post Cheyenne Frontier Days train at The Greeley Train Depot on Thursday morning. 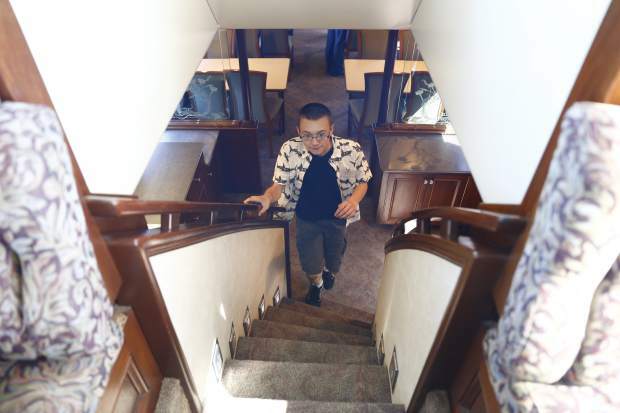 LaSalle resident John Cochran, 12, joins his family at the top of The Denver Post Cheyenne Frontier Days train on Thursday morning. The train traveled from Cheyenne to Denver. Crowds gather at The Greeley Train Depot to witness and photograph the arrival of The Denver Post Cheyenne Frontier Days train on Thursday morning. 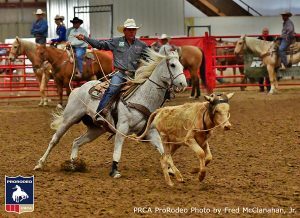 The Denver Post Cheyenne Frontier Days train and the No. 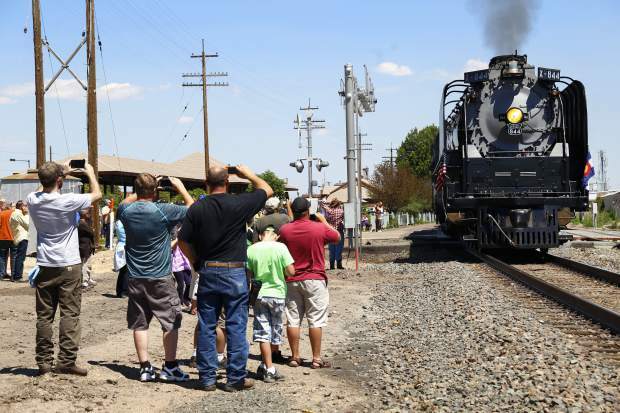 844 steam locomotive will make several stops where the public can see it in Greeley this weekend. Listed times are tentative. Janet Baker takes all of her grandsons on a vacation when they turn 10. Kason Baker is only 9, but he’s mature, she said. He was ready for the adventure early. They had just flown in to Colorado from Virginia. While Kason looked for dinosaurs hidden within the displays July 21 at the Colorado Model Railroad Museum, a much bigger dinosaur rolled into the station outside. About 200 people, including the Bakers, gathered at the Union Pacific Depot to see Union Pacific’s historic steam locomotive No. 844 pull The Denver Post Cheyenne Frontier Days train in preparation for several trips over the weekend. All along the train’s route from Cheyenne to Denver, hundreds of onlookers stopped to wave at the passengers, take photos and see a historic steam locomotive operating. The No. 844 steam engine is the last of its kind built for Union Pacific and has never been retired. Each car of the Denver Post Cheyenne Frontier Days train was once part of a train in the Union Pacific passenger train fleet. This year marks a return for the steam engine. It had been out of commission since 2013 for maintenance. The past two years, the Cheyenne Frontier Days train was pulled by diesel engines. Clair Gross, a 78-year-old from Redding, Penn., is in Denver this week for the National Railroad Historical Society convention. He drove to Greeley when he heard the steam engine would be coming through, but didn’t know it would be stopping at the Union Pacific Depot. Gross grew up around trains, since his grandfather was a carpenter who built railroads. He said seeing the No. 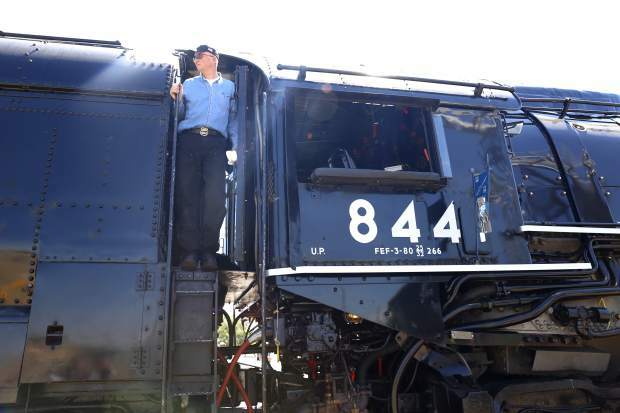 844 was a historic event for him, and he was happy so many people came to see it in Greeley. For Heather and Tyler Parker and their 2-year-old daughter, Lily, the treat was getting to actually ride the train. Tyler works with Union Pacific, so he and his family were invited to go on the Thursday’s ride. 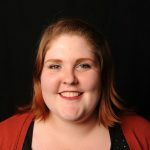 Little Lily said the rocking movement of the train made her feel like she was dancing, and seeing the locomotive reminded her of her beloved cartoon character, Thomas the Tank Engine. Her mom was amazed by the restored condition of the cars. The glass in the windows of the dining cars have ornate, frosted flowers on them. Tiny green “UP”s are stitched into the seats of the passenger cars. Some cars have detailed curtains and wood panels, and pictures and signs in each car relate its history and some of the trips it made. Don Allender, a member of the Sherman Hill Model Railroad Club in Cheyenne, helped serve refreshments during the trip from Cheyenne to Denver. The 70-year-old man has loved trains since he was a toddler. 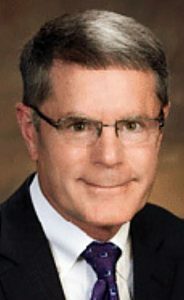 In the ’70s, he worked for a train company in Loveland. Then, he traveled the world as a steam engineer on ships. In 2012, the 150th anniversary of Union Pacific’s founding, he traveled the country on the railroad. Now, he stands a little taller when he’s asked questions about the railroad — he can answer all of them, of course — and when he sees people enjoying the trains he’s always loved.